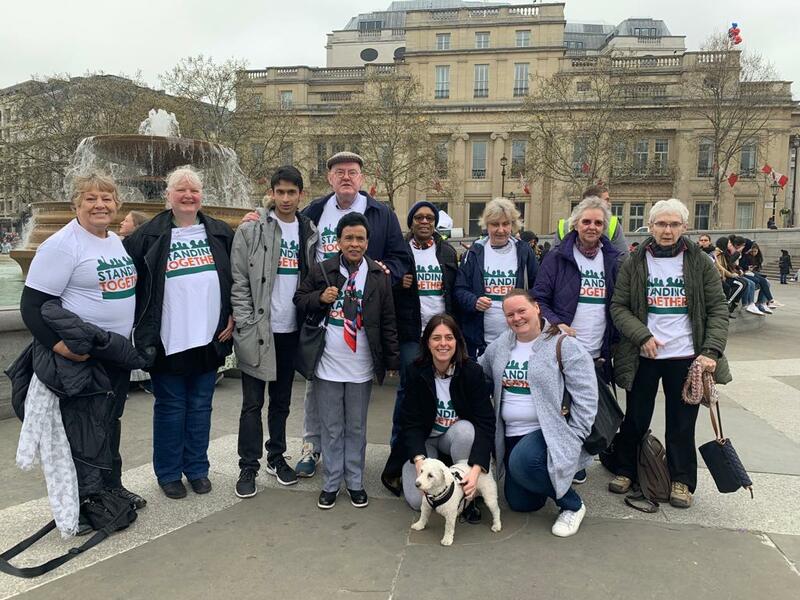 Last weekend, a group from Quex Road attended the “Standing Together” Rally to join with other churches and ecumenical groups to call for an end to violent crime in London and the UK. 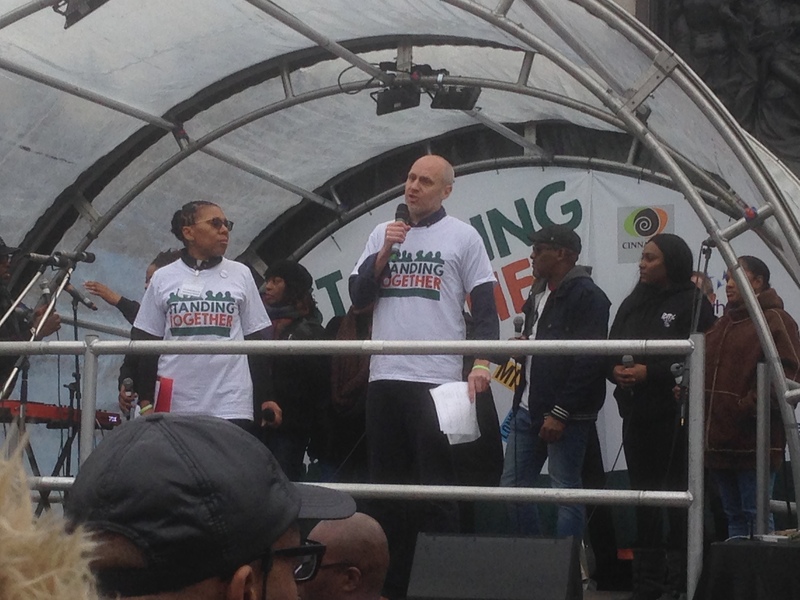 The group joined the protest walk to suppport families affected by knife crime. 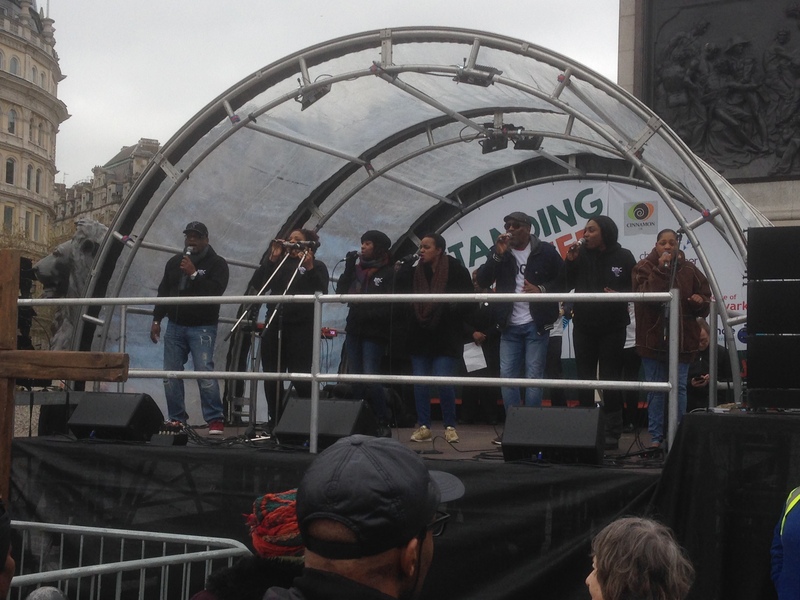 The Rally took place in Trafalgar Square and was organised for all churches to join together. 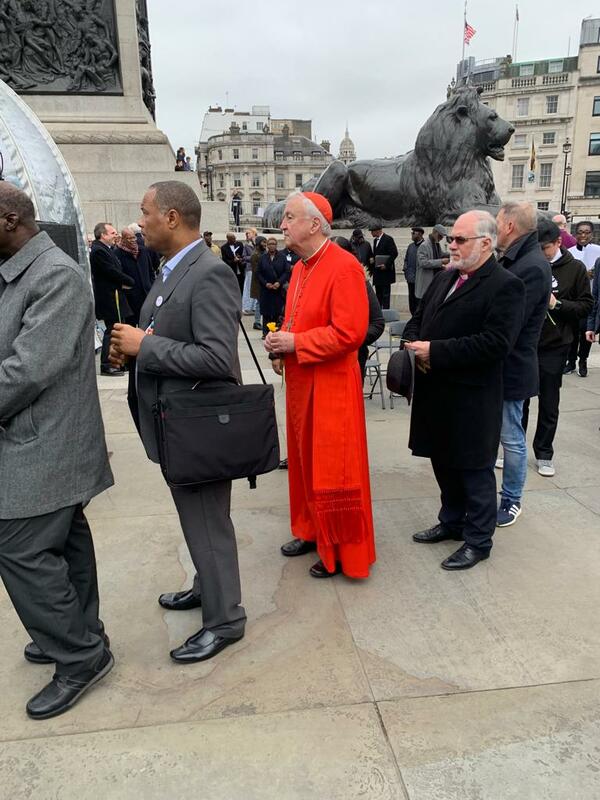 This was organised by all the main churches throughout London, and supported by the presence of Cardinal Vincent Nichols. 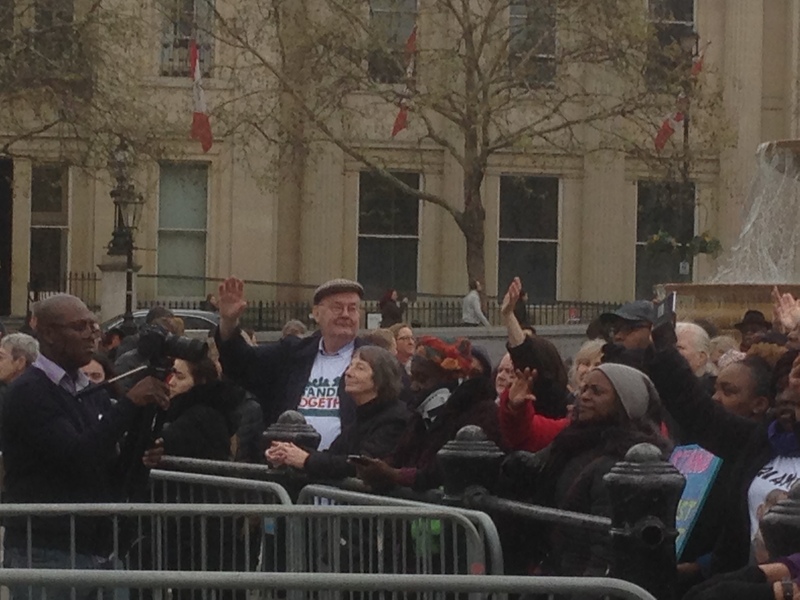 The Rally was addressed by many church leaders, including Cardinal Vincent Nichols, and other religious leaders. 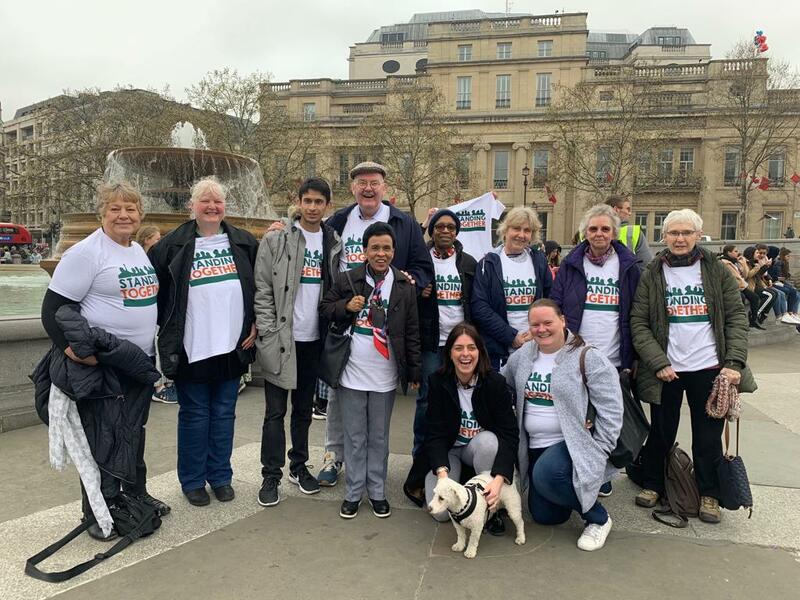 The event was organised by the street pastors group Ascension Trust, London City Mission, Churches Together in Britain and Ireland (CTBI) and Southwark Diocese. 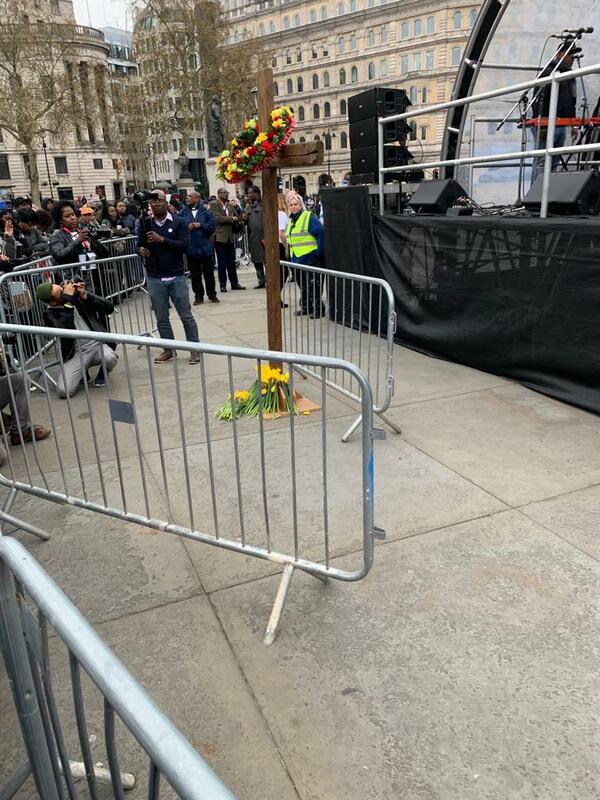 Director of Justice and Inclusion at the CTBI, Richard Reddie said: “Lives have been lost, people are grieving and there are those out there who have experienced life-changing injuries.